Since being founded in in 1999, «КВТ» has evolved from a manufacturer of cable lugs and connectors to a large enterprise of a big range of cable accessories starting from the technology design up to the tests of the ready goods in our own modern equipped laboratory. During all the years of the factory functioning the reliability and quality of all the produced goods is the most important point for us. Meeting the standard and all the highest requirements of our customers, make KBT brand one of the most reliable brands in the electro technical field of Russia and post-Soviet Union countries. The KBT engineers take part in the international forums; keep on the research work on the innovations in the new electrical field lines of goods. Though the production volumes in 2016 have been growing considerably (20 to 45% in different goods) the quantity of the stuff hasn’t been changed. It absolutely corresponds to the confirmed direction to the shifting the production to the automotive ones which means “ bigger volumes with the less working stuff”. A new land of about 16000 m3 has been bought for the purposes of the construction of a new production facilities of the «КВТ» factory at the right side of the Oka river. A plan for the construction and the accomplishment of territory has been confirmed. The third part of the warehouse complex «КВТ» with 1000 pallets places, with total ly1200 m3 has been constructed and started working. A new robot line for mechanical lugs and ferrules production has been started according to the project for shifting to the automotive technologies in the KBT factory. All equipment in the KBT factory started to be renewed by the modern CNC ones as the realization of the policy of the technical renovation. A new system of the teaching of the workers to get professional knowledge and skills according to the needs of the KBT factory has been introduced. A week training courses of managers the trade departments was hold with the help of the technical and engineering stuff of the KBT factory on the base of the teaching center «КВТ». It included both theoretical and practical training. A series production of the stainless steel cable ties has started successfully. The sizes range of the stainless steel cable ties has been increased considerably. The sizes range of the mechanical cable lugs and ferrules with shear bolts has been increased up to 800 mm². The range of the heat shrinkable breakouts «КВТ» has been enlarged with a new line of flame retardant breakouts KBT. 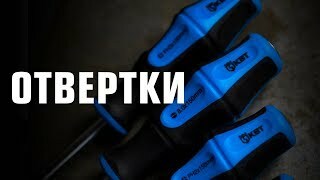 Расширен ассортимент диэлектрического инструмента The range of dielectric tools «КВТ» trade mark has been enlarged. The pliers’ series «Expert» with the dipped handles has been added. A new service repair center «КВТ» in Minsk city has been opened together with «МТИ-Электро», the general distributor in Belarus republic. The service and repair center КВТ has been restructured. The definition of the standards of the coordination with the customers helped to make the process of the diagnostic and repair of the tools considerably shorter. The interaction with the largest net trade companies «ЭТМ», «Русский Свет», «Все инструменты», «220 Вольт», «Ozon.ru» made it possibile to introduce the «КВТ» trade mark tools to the customers in the small and far away towns of Russian federation. The enlargement of the CNC vertical milling machining sector has given the opportunity to increase capacity of the production of the main tools parts and other items. Modern CNC lathe machines were installed and started to be used. A long term development strategy has been developed to achieve a new level of the production of the mechanical cable lugs and ferrules with shear bolts. The production of the mechanical lugs and ferrules has been structured and divided into two main directions: with a line and angle bolts position. A new stuff education program was installed and it allowed making the production culture level higher and the teaching time for the new coming workers shorter. A finance controlling department of the factory has been organized. The production of the heat shrinkable cable cups KBT line was renovated completely. The sizes ranges was enlarged. The automotive equipment for production of the stainless steel cable ties KBT was developed and produces by the factory engineers with the help and according to the order of the Federal service for defense order s. The start of the first in Russia production of the stainless steel AISI 304 and 316 is due to 2016. The instrumental department of the factory has been newly equipped according to the modern requirements. The sizes range of the heat shrinkable breakouts produced in KBT has been enlarged. The range of the heat shrinkable kits produced in KBT has been enlarged. A new series of the ergonomic tools for electric usage made of high-strength Aluminum alloy for punching holes in the steel sheets and for crimping cable lugs has been started in the KBT factory. A new project of the Teaching videos for the tools of KBT trade mark has started on the base of KBT teaching center. The sizes range of the copper lugs ( TMLs) KBT standard has been enlarged. A new KBT series of the 1000V dielectric cutters has been developed and successfully tested . A new range of the crimping ferrules for a parallel connection of the cores «GML-P» has been started in production. The first phase of the shifting to the process-centric magement of the factory has started. A new automotive CNC equipment based technology was applied to the process of the mechanical lugs with shear off bolts and ferrules production. Five senior executive managers have successfully graduated their professional retraining in the program of the President for the retraining of the senior management personnel. Development and research of a set for the live35 kV cable cutting. Changing the construction of the insulated terminals KBT for «Easy Entry» type. Enlarging the range of the «КВТ» heat shrinkable sets with a new line heat shrinkable of flame retardant cable kits. The strategy of the production was revised according to a new geopolitics situation and economical restrictions applied. New long terms production projects have started. Enlarging of the sizes line of the terminals DIN 46235 and ferrules DIN 46267 up to 630mm² as a contribution of «КВТ» factory to the import substitution policy of our country. Development and start of the series production of the copper cable lugs with a narrow spade (TML-U) for the for the modern type of the circuit breaker s up to 630А. The second part of the warehouse complex KBT construction has been finished on the right side of the Oka River. Self-repair tools instructions have been completed and announced to the KBT brand tools customers in the far away regions by the Service and repair center KBT. A new administration office of the factory has started it functioning. The research, engineering and laboratory complexes were shifted to the new building. The construction of the two buildings – the first part of the modern warehouse complex of 3,5 thousand square meters and logistics administration center KBT – was finished. Modern warehouse equipment was bought and started to be used together with a new electronic system of the warehouse inventory control in the KBT warehouse complex. Reconstruction of the logistics service as a separate substructure with a list of long term tasks. Trade house «КВТ» was established and has started its functioning. A contract for the service and repair of the equipment of the company «GLW» (Germany) at the tools service of KBT was signed. A series production of the new construction of the self- closing body of the branch clamps KBT has started. The term of the free service and repair period for the all kinds of tools with the KBT trade mark was enlarged. Purchase of the land for the construction of the new distribution warehousing complex in the right side of the Oka River. The start of the new KBT factory Administration building construction. Renovation of the extrusion lines for the heat shrinkable tubes production. Purchase of the new servo energy saving injection machines. The visit to the KBT factory of the head administrators of MRSK Center. The visit to the KBT factory of one of the chieves of the «ShrinkPolymerSystem» (a leading England company in the field of heat shrinkable kits. Development and start of production of the special series of the copper cable lugs TMLs according to the KBT standard. Development and start of production of the copper aluminum lugs of a new construction. KBT is the first factory starting to produce European version of the lugs in Russia. New developed technologies in production of the mechanical lugs and ferrules with shear off bolts KBT. Renovation of the press machines with the new upgraded models. New automatic metal tubes and rods cutting machines. Start of the series production of the DIN standard lugs and connectors. A new production workshop 1,500 square meters for the CNC machining process in the territory of the factory. New park of Professional Industrial Usage CNC machines and equipment. EDM Wire Cutting Machines and CNC Engraving Machines for production of the crimping dies KBT and important parts of the tools with high accuracy. The start of the series production of the marking cable labels «КВТ». Total renovation of the factory laboratory with the new models of the testing equipment for the full scope tests for all the range of the produced items with climatic chamber, salt chamber, tensile strength machines and a new high voltage testing device. The management in the factory got the certificate of the international management system ISO 9001. New project Cable accessories for the ABC cables installation and the production of the items from this range with the «КВТ» brand. 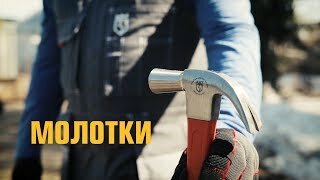 Shipments of the tools «КВТ» to the post-Soviet Union countries, Kazakhstan and Belorussia. A new industrial strategy of the factory. The definition and confirmation of the main priority directions of development. Shipments of the cable lugs and joints «КВТ» for production of the military ships for Indian naval forces. Restructuration and consolidating of the engineering stuff in the heat shrinkable goods department. Renovating of the functional structure of the heat shrinkable joints and terminals. Upgrade of the machines and equipment for the production of the heat shrinkable joints and terminals and shifting the production to a new workshop built in the territory of the factory. The first shipments of the goods produced in «КВТ» factory to the state corporation Rosatom factories. Contract tender shipments of heat shrinkable joints and terminals «КВТ» to Ukraine. The Major and the officials of Kaluga city visited KBT factory. Projecting and start of production of the punching clamps «КВТ» У 731-739, У 859, У870-872 series. A new high voltage testing device SKAT was bought and installed in our laboratory. Innovations were made to the traditional design of the mechanical shear bolt lugs and connectors to make our lugs and connectors unique and recognizable as KBT brand. Innovative technological process of the shear bolt lugs and connectors was implemented. A new department dealing with the electro installation tools was established for developing and optimization of the engineering and design of the KBT tools. The production of the Heat shrinkable joints and terminals KBT and thin wall heat shrink tubes has started. A testing electro technical laboratory «КВТ» was established at the territory of the factory. A start of the supply of the cable lugs and connectors for the Ministry of defense of Russian Federation needs. Repair and service center for the tools of KBT brand has been organized. 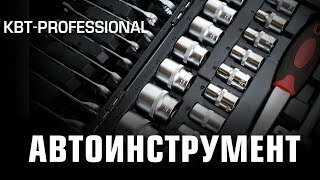 «КВТ» factory has gained fame all over Russia and became the leader in the quantity of the produced cable lugs and connectors in the country. The second workshop with new machines and equipment has started production in the factory. The development of the Heat shrinkable joints and terminals KBT has started. The copperation and research work with the institute of the nuclear physics of L.Y. Karpov in Obninsk town and VNIIKP in Moscow has started. The serial production of the mechanical multi-size sheer bolts cable lugs and joints has been started.